“We cannot manage time. 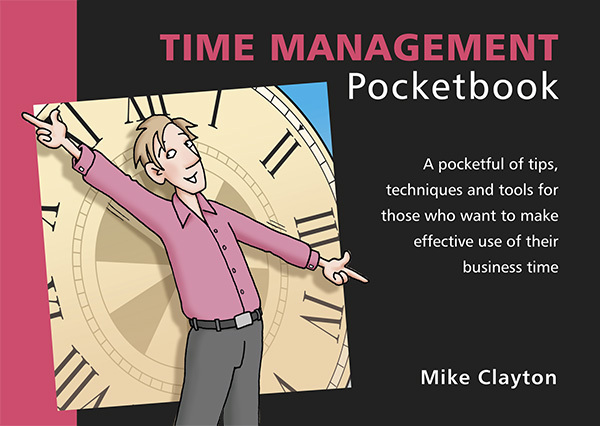 All we can do is learn how to use the time that we have, as well as we can”, says Dr Mike Clayton, author of the all-new Time Management Pocketbook. Illustrated throughout, the book begins by explaining how to plan your time, how to balance the advantages of feeling in control against the necessity of remaining flexible, and how to adapt to changes. It then deals with ways of working that will make you more productive and looks at strategies for tackling one of the biggest problems you face: the challenge of ‘too much’. The book concludes by looking at how organisations can treat time as a strategic asset, systematically making better use of it for the greatest possible return.